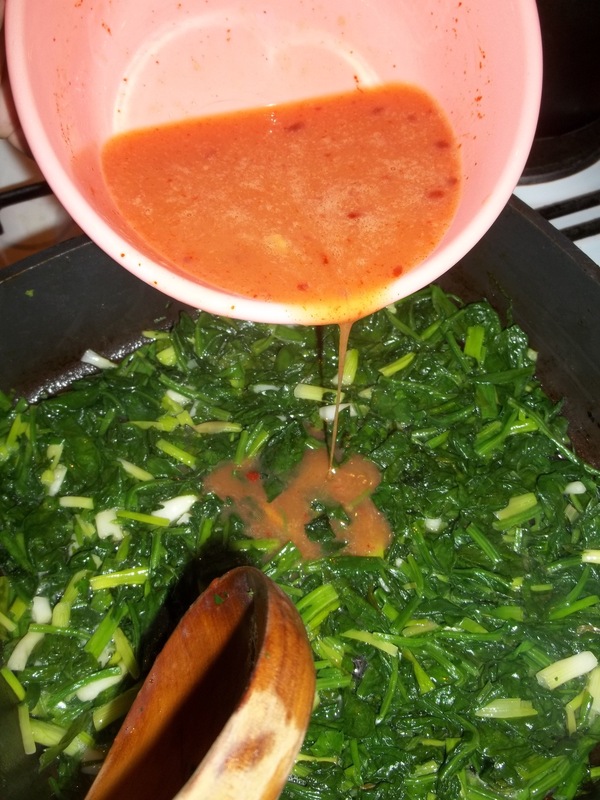 Spinach is a popular ingredient in Georgian cuisine. 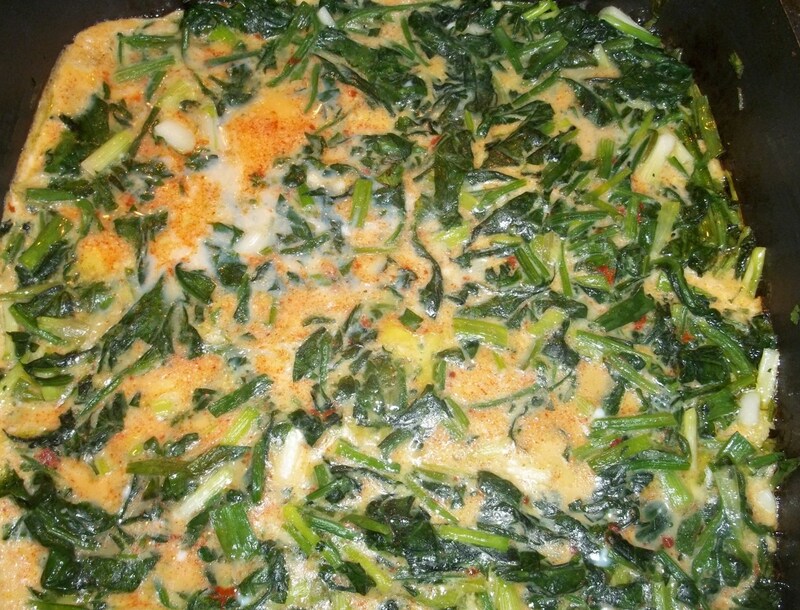 In this family recipe we show how to make a delicious spinach with eggs dish. 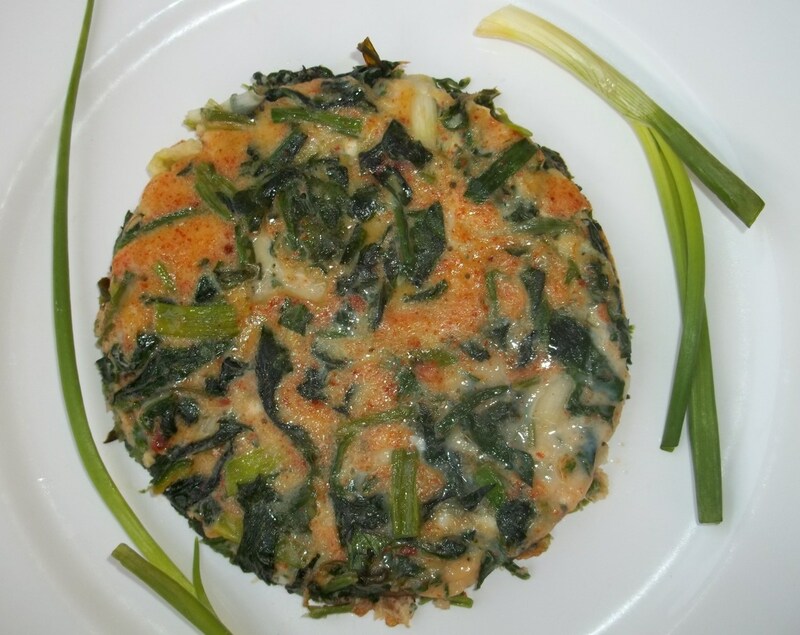 Ingredients: 400 grams of spinach, 15 grams of fresh parsley (or green coriander), 100 grams of green onions, 1 tsp of red pepper, salt (amount dependent upon personal preference), 1 tbs of oil, 50 grams of butter and 4 eggs. 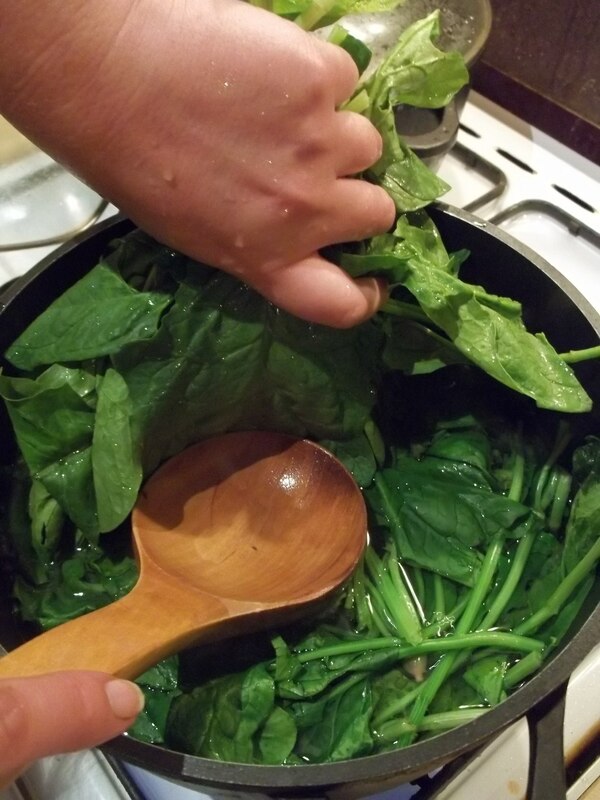 Preparation: Wash the spinach, remove the ends (roots)of the stalks and add to a pot of salted water. Boil for 3 minutes. 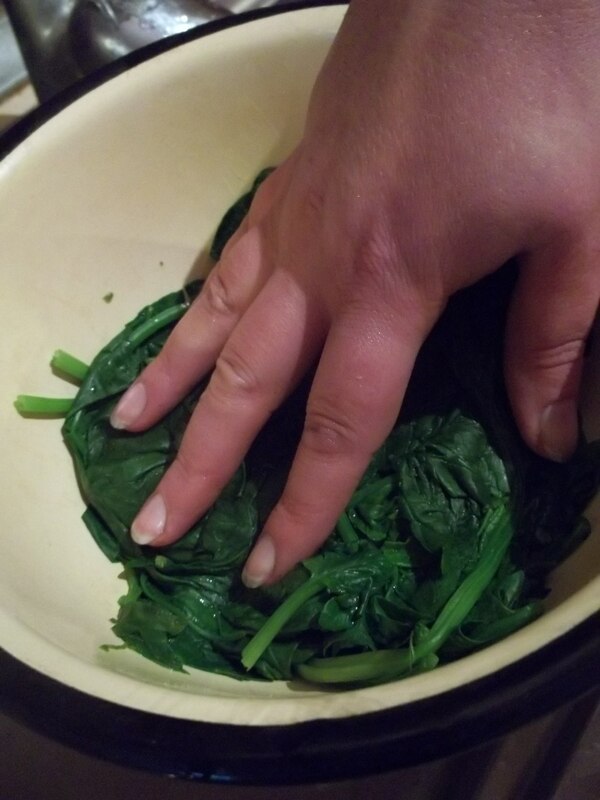 Drain the water from the boiled spinach using a colander and press the leaves to remove as much liquid as possible. 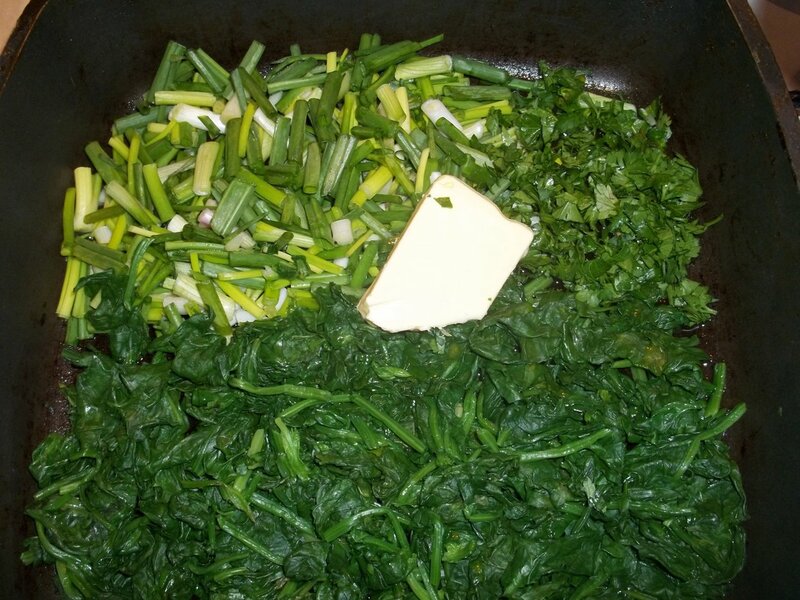 Chop the spinach, green onions and parsley and add to a pan with 1 tbs of oil and 50 grams of butter. Cook on a low temperature for 5-6 minutes, stirring frequently. Beat the eggs and add salt and red pepper. 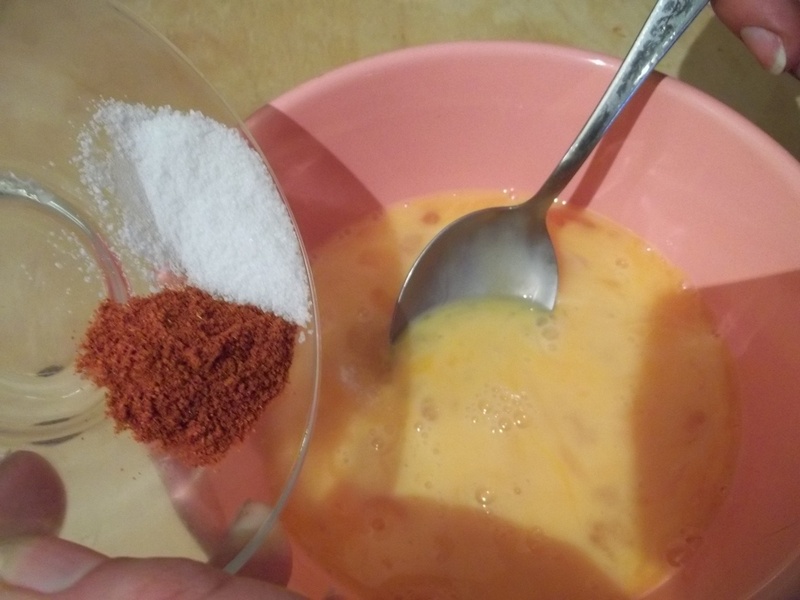 Pour the egg mixture into the pan, ensuring that it is spread evenly. Do not stir. 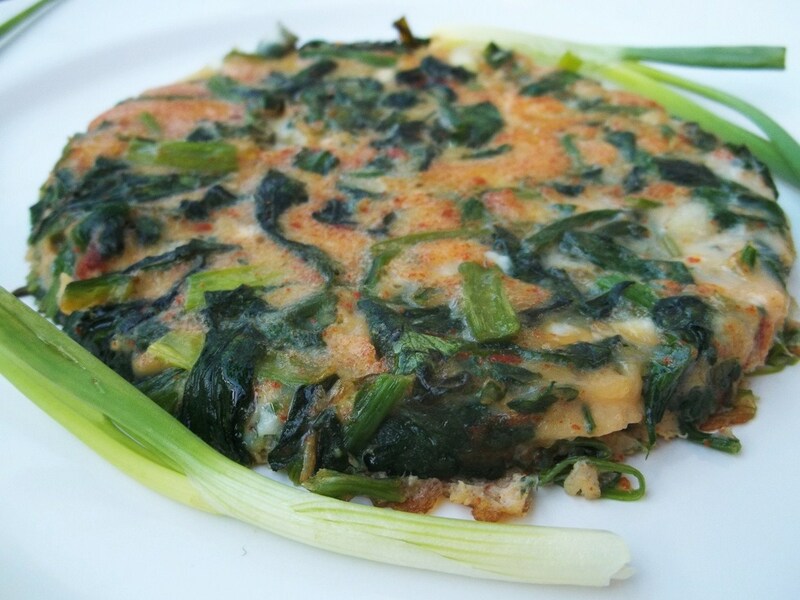 Cook on a low heat until the eggs are cooked (3-4 minutes). 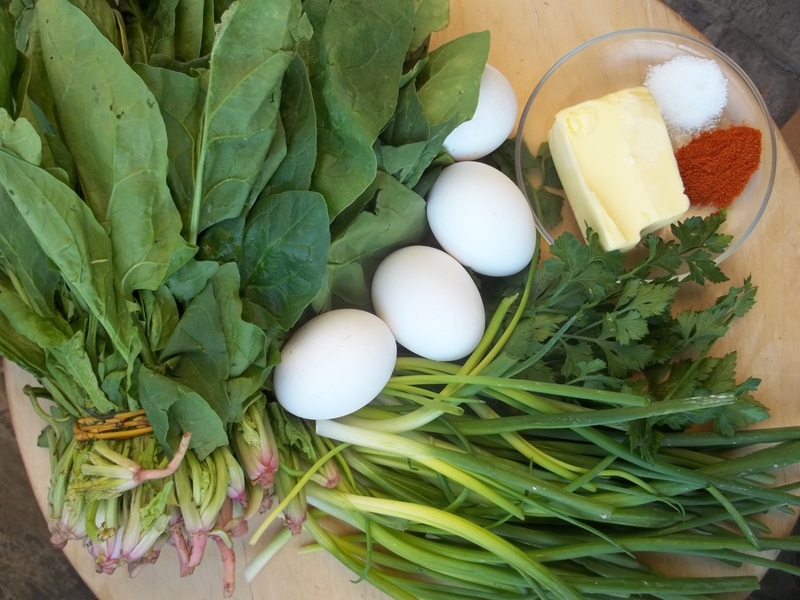 Enjoy your Spinach with Eggs!